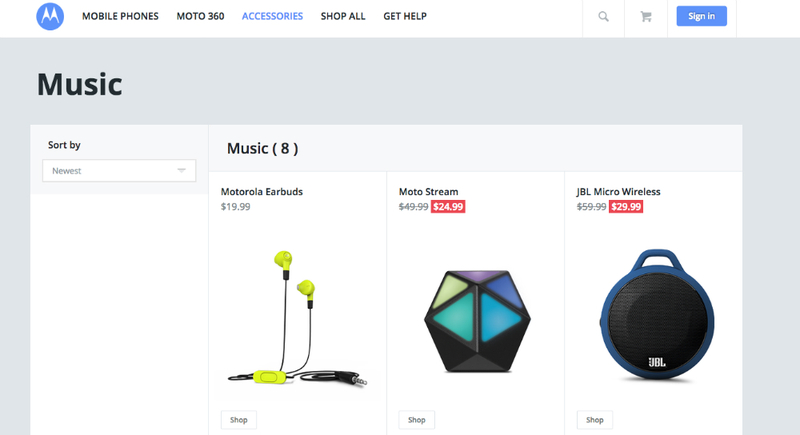 Motorola is getting in on the discounted shopping week this afternoon, hosting its very own Music Accessory sale. Starting today until tomorrow night at midnight (ET), Motorola offers you the chance to purchase various music accessory products for 50% off. As of right now, the deals include a pair of SOUL Republic headphones for just $99, down from $199, or a Moto Stream for just $25, down from $50. As stated, it’s all 50% off. Other accessories listed are JBL wireless headphones, as well as Motorola ear buds for jamming out. You better hurry if you need some good stocking stuffers.